Life sciences companies are in the midst of a transformational era. To succeed in today's dynamic healthcare marketplace, companies are compelled to reimagine the role supply chain and logistics can play in positively influencing patient outcomes. Going forward, those who move quickly and look at their supply chain in whole new ways will develop the flexibility needed for rapid response, creating competitive advantage. 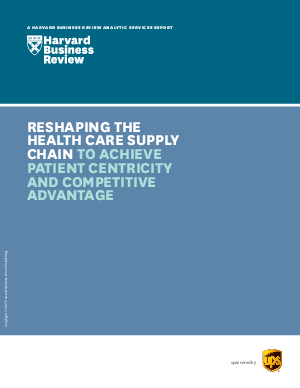 This white paper explores how life science companies are bolstering their supply chain and logistics strategies to address market pressures and increase patient-focused agility.